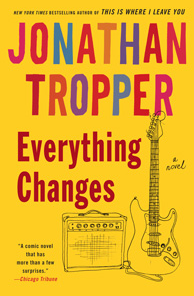 Jonathan Tropper - an author to read ~ Learn, Live, and Explore! 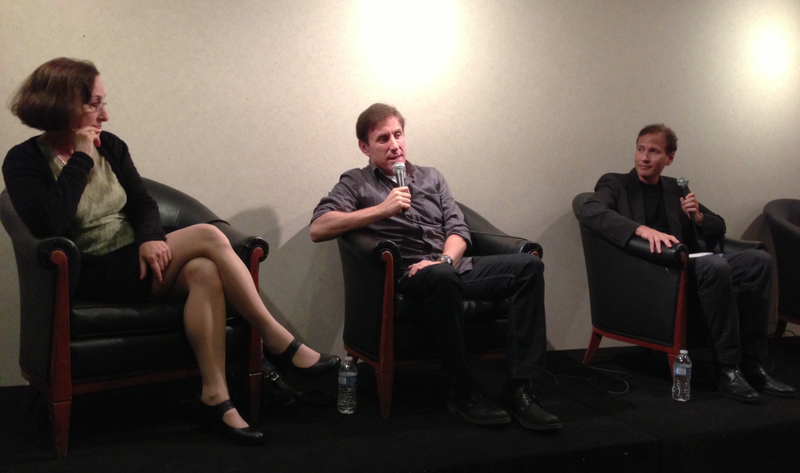 Last Sunday, I spent the evening at the Washington DC JCC's Literary Festival enjoying a panel discussion that included three Jewish humor authors. 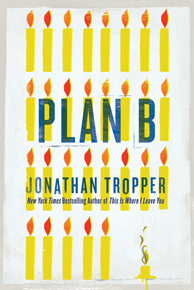 I discovered this event because I am a fan of one of the authors, Jonathan Tropper. The other authors were Devan Sipher, author of The Wedding Beat and former The New York Times Vows comumnist, and Lisa Zeidner, author of five books and two collections of poems. Led by Faye Moskowitz, professor of English at The George Washington Univerity, the authors were given time to comment on their experience as writers and to read chapters from their most recent works. Devan really stole the show because of his hilarious experiences spending 80-100 hours a week dealing with Manhattan weddings! One of the interesting insights they shared in the panel discussion was that the key to writing successful humor novels is all about the relationships because that kind humor is believable and stands the test of time. I thought this was interesting because developing relationships has always been stressed in my improv classes as a foundational principle because relationships are what captures the audience's attention, since many people have probably been in a similar situation before and can understand. Another idea presented was that perhaps growing up within the Jewish American culture promotes the ability to become good humorists because it is one that is based on storytelling -- and then there's the classic stereotype of the very opinionated Jewish mothers not being afraid to speak their minds. 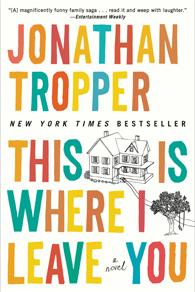 This is Where I Leave You - the hilarity that ensues when a family is forced to reunite at their childhood home to honor their father's last request for the family to sit shiva together for 7 days. Old family resentments, crazy personalities, neighborhood hook-ups, etc. 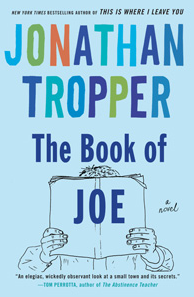 The Book of Joe - a writer escapes his small, basketball-obsessed town after high school and writes a novel exposing all of the town's secrets and outing the bullies. Fifteen years, and one major motion picture based on the novel, later Joe has to return for the first time when his father falls ill. Time to face the music from a town mocked on the big screen! 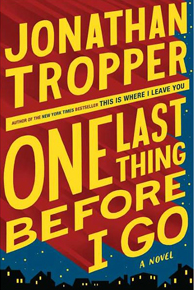 I was waiting for his newest book, One Last Thing before I Go, for months. When it came out, I started to read it and found it a lot more difficult to enjoy compared to his previous work. Perhaps it was because the main male character this time was at such a low point in his life that he was choosing to not repair a mortal aortic dissection, causing extreme distress for his family. So essentially he came off as a suicidal, unsympathetic jerk in the whole book, which isn't that funny. Of course, a reason it didn't capture my interest as much could also be that I didn't really like some of the supporting characters. But when I was talking to Jonathan, he pointed out that this book was the first one he had written from a third person perspective, and all other novels are first person. After he said that, it was an "a-ha" moment. I think I never really understood the main character because I wasn't privy to his inner monologue, and I needed that to follow his decision making process. 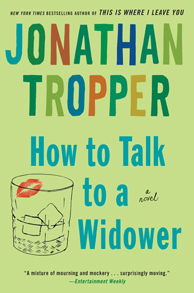 Anyway, my point is that if you're going to read one of Jonathan's books, don't start with One Last Thing Before I Go but do read at least one of them!